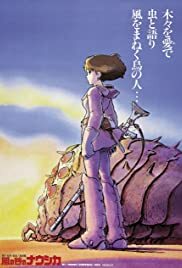 Warrior and pacifist Princess Nausicaä desperately struggles to prevent two warring nations from destroying themselves and their dying planet. On a journey to find the cure for a Tatarigami's curse, Ashitaka finds himself in the middle of a war between the forest gods and Tatara, a mining colony. In this quest he also meets San, the Mononoke Hime. A look at the life of Jiro Horikoshi, the man who designed Japanese fighter planes during World War II. A young boy and his little sister struggle to survive in Japan during World War II. In a mythical land, a man and a young boy investigate a series of unusual occurrences. A twenty-seven-year-old office worker travels to the countryside while reminiscing about her childhood in Tokyo. A high-school girl named Makoto acquires the power to travel back in time, and decides to use it for her own personal benefits. Little does she know that she is affecting the lives of others just as much as she is her own. Two strangers find themselves linked in a bizarre way. When a connection forms, will distance be the only thing to keep them apart? When a machine that allows therapists to enter their patients' dreams is stolen, all Hell breaks loose. Only a young female therapist, Paprika, can stop it. Yupa: In the midst of my travels, I heard of an ominous rumor... It said that a monster from the ancient world had been excavated from beneath the city of Pejite where it had been sleeping. Mito: A monster from the ancient world? Yupa: It's a God Warrior. Mito: A God Warrior? You mean, the ones that burned the world in the Seven Days of Fire...? This thing...! Yupa: All God Warriors should have become fossils. But this one managed to sleep underground for 1000 years. Q: Is Nausicaä naked under her skirt? Q: What are the differences between the Old International Version and the Original Version? Usually I try to compare one anime with another but I find it impossible to do for Nausicaa. I doubt if any other anime tried to repeat (or at least not successfully) the combination of science fiction, drama and medievalism that's in this film. 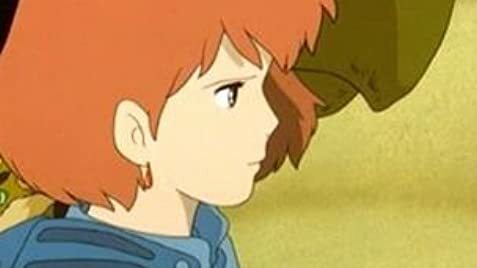 However the most captivating (yet stereotypical perhaps) aspect of Nausicaa is her sympathy to all living things and her uncanny intuition about the things around her. Her abilities are the only drawback to this film because such characters can be found in most anime involving a heroine, whereas the storyline makes it a most unique experience. I was somewhat dissappointed with the ending. I won't give it away but the character of the Princess was just made to conform to the "standards of a heroine". Animation was acceptable but not superb although the designs of some landscapes and characters were spectacular. Overall an 8. 47 of 76 people found this review helpful. Was this review helpful to you?